Rt. Rev. Msgr. 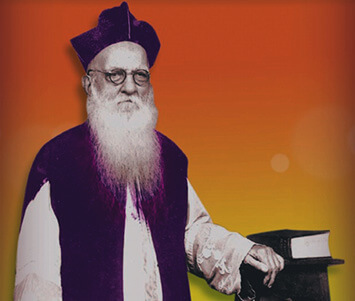 Raymond Francis Camillus Mascarenhas, the founder of the Congregation of the Sisters of Little Flower of Bethany, under whose patronage this school was established, was consumed by an indefatigable zeal for the education of the poor and marginalized specially for the total emancipation of Indian woman and was convinced that it could not be achieved without education. His spirit of service was supported by a strong scaffolding of prayer and faith in God. He was a man of vision, down to earth and compassionate. His charisma can be summarised in one phrase "Service born out of Love".